It was the middle of the day, and rainy and cold, hardly ideal for perch fishing on Lake Michigan. But then, say fishermen and fish biologists, it's been quite a while since it was ideal for perch fishing on the Great Lakes. For years, there haven't been many perch. Nevertheless, Tim Krell, 45, a carpenter and optimist, stood on the dull side of Navy Pier with a pair of rods this week, slid a hook through a minnow and tossed it at Chicago's water-filtration plant. There was plenty of room to cast. The other fishermen had given up. VHS is a little virus with a big name - viral hemorrhagic septicemia. 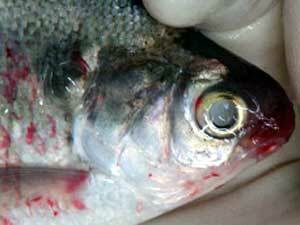 Infected fish might have bulging eyes; bloated bellies; or red blotches. Some major fish kills are blamed on VHS. The disease isn't a danger to humans, but it's a very real problem for fish that haven't faced this disease before. VHS can hammer dozens of fish species -- everything from freshwater drum, to northern pike, round goby, and walleye. It's caused a near total kill of muskies in New York's Niagara River. Indiana DNR Chief of Fisheries Bill James has been appointed by President George W. Bush to head the Great Lakes Fisheries Commission. The Great Lakes Fishery Commission was established in 1955 by Canada and the United States to control the invasive sea lamprey but has expanded to incorporate a wide range of aquatic research and management efforts in the Great Lakes. "This reflects admirably on the career and talents of Bill James, but at the same time sheds a favorable light on DNR and our state," noted Gov. Mitch Daniels in a press release. Rick Ungar's charter fishing service promises a great time on Lake Erie. But there's a catch â€” and it's not freshwater fish. It's the Homeland Security Department's new anti-terrorism rules. When the 2008 charter season begins next month, U.S. citizens paying to fish on Lake Erie will have to bring either a passport or two other IDs if they plan to cross the northern border's invisible watery line. When they get back to shore in the USA, they'll have to drive to a local government reporting station and pose for pictures. They won't be posing with their fish, but for Customs officers via a videophone connection. Opening day leader Brett Hite of Phoenix, Ariz., caught a five-bass limit weighing 25 pounds, 2 ounces Saturday to reclaim his lead in the $1 million Wal-Mart FLW Tour event on Lake Toho. He now holds a 12-pound, 13-ounce advantage over his closest competitor, Dan Morehead of Paducah, Ky., heading into the final day of competition. "You dream about days like this," Hite said. "I stayed calm and relaxed all day. I just went out and fished, and it was unbelievable." The Common Carp was introduced a century ago and has been causing havoc in rivers, ponds and lakes ever since. In thousands of lakes and ponds across the country, there's a fish messing up the water. Some biologists say we've never seen these lakes the way nature intended due to the common carp. The usual method to get rid of the common carp is to kill everything in the lake and start over. Some biologists think there's got to be a better way. Lake Michigan anglers can expect to catch fewer chinook salmon this summer, and those that are caught likely will be smaller. Prey fish numbers have decreased for the third year in a row to about one-third of 2005 levels (and only 8% of the peak in 1989), and salmon will find it tougher to locate the alewives that are their primary food source. What researchers don't agree on is whether Lake Michigan's chinook can hang on at present levels or if the new data presage an imminent collapse of the salmon fishery like the one that occurred in Lake Huron three years ago. Barnes, a 63-year-old Chesapeake, Va., telephone contractor, apparently shattered the state striper record with a 73-pound giant caught near the 4A Buoy off Cape Henry. We've covered fishing cities-urban areas where you can fish. Now we're talking towns-places with under 100,000 residents. We rated everything from single-stoplight crossroads to boomtowns, factoring in costs, attractions, distractions, seasons and, most important, fishing action. These are the 20 best. Researchers are trying to figure out why fewer people are fishing the Great Lakes. 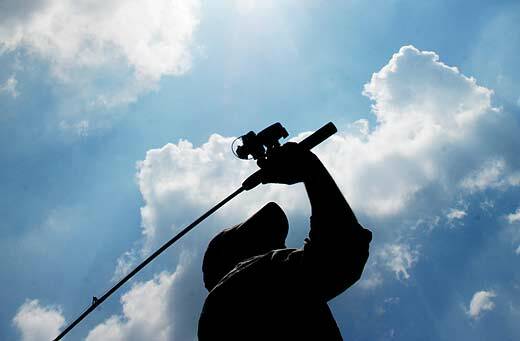 A national survey of anglers is trying to determine why fewer people are fishing the Great Lakes. There is nothing quite like the thrill of pulling a trophy northern pike through the ice. Big northerns are not only an open water phenomena. They are one of my favorite ice fishing targets. As an ice fisherman I love the thrill of seeing that huge 'gator' head fill the hole. I've learned a few lessons over the years. The tough part is we typically learn the most from our failures, not our successes, and that also holds true for ice fishing for big northern pike. 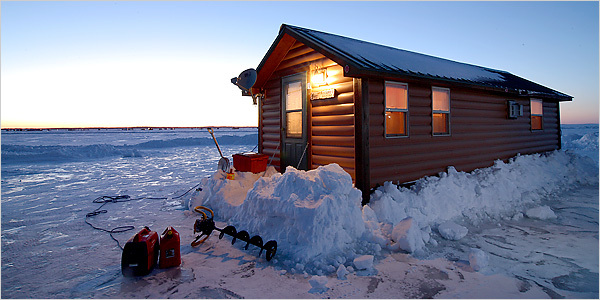 With a proper game plan and the right equipment you can set yourself up to put some beautiful fish up on the ice. There is not a lot to it, but you do need to create a game plan that will give you the highest opportunity possible to catch these monsters. Two-time In-Fisherman Professional Walleye Trail winner Mark Brumbaugh, Arcanum, Ohio, captured the day one lead at Dryden, Ontario. The first PWT event north of the border, the Lund/Mercury Pro-Am, part of the Super Pro series presented by MinnKota, was held in sweltering 92-degree heat on Lakes Wabigoon and Dinorwic. 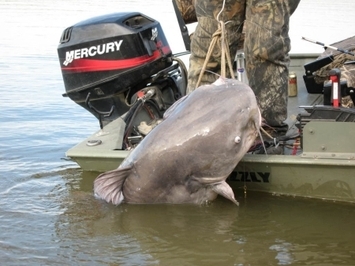 In some ways, fishing is less a sport than an absurdity. There are bugs â€“ those that attack you and those that you use for bait or even those that you attempt to imitate with your rod and tackle. There are early morning risings and sunburns and less-than-lovely odors.